Each year at least 600,000 people die from heart disease. 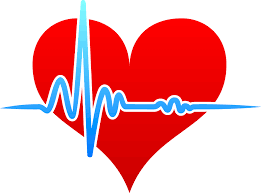 Overall, every one in four deaths is due to some type of heart disorder. Heart disease does not favor either gender, it is the leading cause of death for both women and men. The most common type of heart disease is coronary heart disease, which is responsible for about 380,000 deaths each year. Every year nearly 750,000 Americans have a heart attack and of these nearly 20% will go on to develop a second heart attack. And with each heart attack the risk of death is greatly increased. Worldwide nearly 17.5 million people die from heart disease and countless millions suffer from the symptoms. Heart disease affects people of all ethnicities in the US, with the highest rates of death in American Indians, African Americans and Asians. The one fact that is ignored by the consumer is that unlike many other diseases including cancer, the majority of heart disorders can be prevented. Not only does prevention reduce the costs of healthcare but it significantly improves the quality of life. So in February, consumers are being urged to take steps to improve their heart health and reduce the risk of heart disease. Fortunately, the prevention of heart disease is not expensive at all- in fact it is 100% free. Start by eating healthy; this means eating a diet rich in fruits, veggies, nuts, unsaturated fats, whole wheat, grains and fish. Limit the intake of meat, saturated fat and simple carbohydrates like sugar. Consuming salty or sugary snacks should be limited and done in moderation, however it is important not to deprive yourself of any one specific food or nutrient. Stop smoking: There is ample evidence to show that smoking not only causes lung cancer but in fact affects every organ in the body. Smoking causes premature wrinkling of skin and enhances atherosclerosis. If people were to stop smoking today, a significant number of healthcare workers would be out of a job. There is no magic bullet to cessation of smoking. While there are many types of medications available, most do not work. The simple answer is to go cold turkey; It will save you money, aggravation and improve your health. Exercise: The best way to lower the risk of heart disease is by doing some type of physical activity. You don’t have to run a marathon each weekend or go cycling 100 miles every day; even walking is as good as any other exercise. The fact is that exercise should become a part of your lifestyle. If you walk briskly for one hour a day, then you could possibly have a deficit of 300 calories (based on your weight and intensity) and this amounts to 2000 calories at the end of the week. In a month you can lose 8,000 calories, which is about 2 pounds of weight. In a year, that is 24 pounds of weight loss without having spent a penny on an exercise machine or joining a gym. Of course exercise has many other benefits; you can the outdoors, breathe in fresh air and reduce stress to name a few. Recognize this special month and start fresh with a new awareness for your heart. Take care of it since you only have one and it needs to last the rest of your life!